I know that most of your only eat it from September to November, Most of my friends start their pumpkin consumption, once the Pumpkin Spice Lattes are announced at Starbucks. Then my friends and I have a pumpkin feast. I love eating pumpkin year round. These are my favorite muffins, I have been eating them since I was a little girl. I’m not sure where the recipe came from, but they are amazing! They are nice and light and fluffy, and they are amazing with a slab of butter after you let them cool down. The two things that I have used to make muffins in the air fryer are silicone muffin liners and my really small four cube muffin tin. 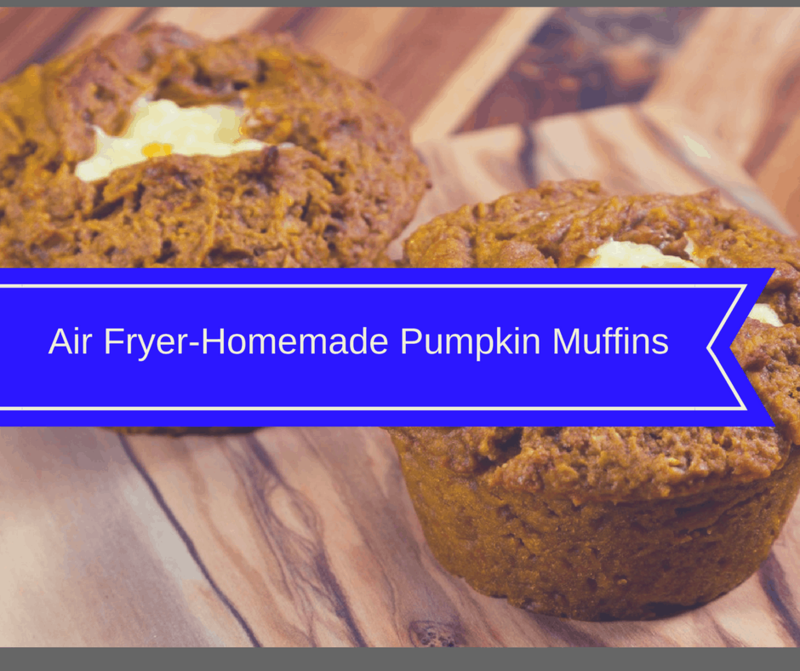 I prefer the muffin tin more because I don’t have to worry about them flying around in the air fryer. The links are in the items used section, in case you were wondering. 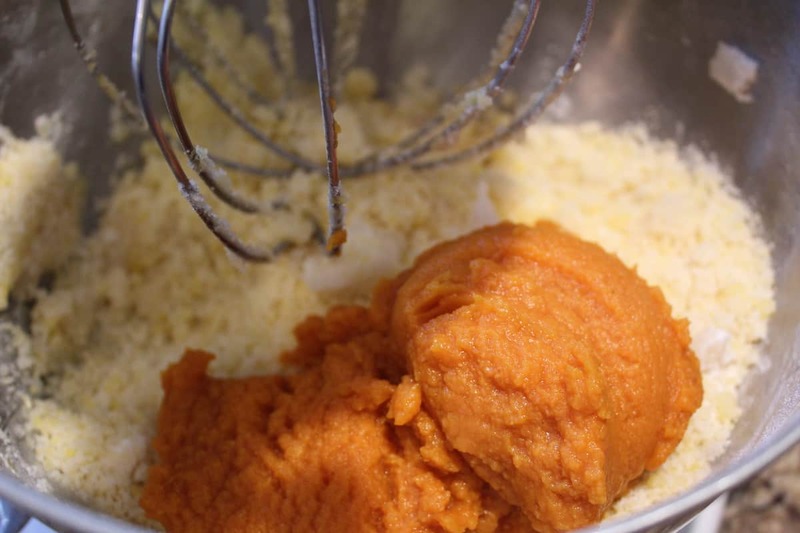 Mix all of the ingredients together, except for the pumpkin, which you mix in as the final ingredient. 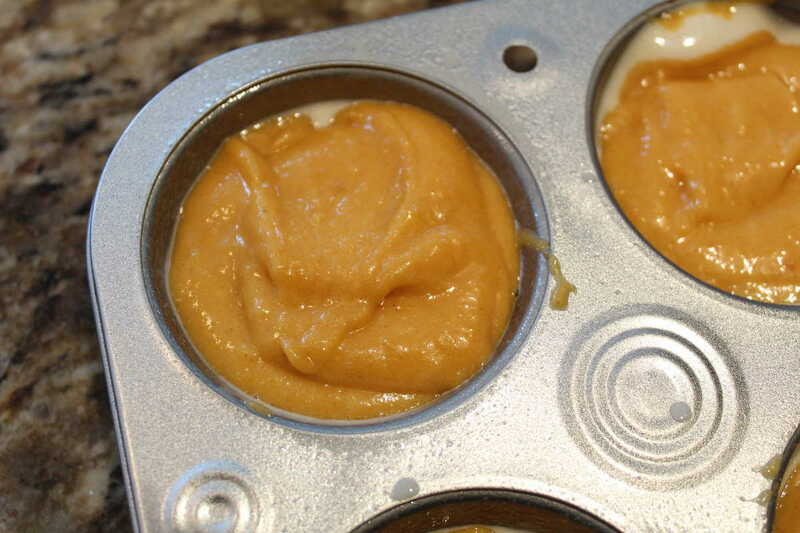 Pour the mixture into greased muffin tin or silicon cupcake liners. Set the temperature at 320 degrees F.
Mix all of the ingredients together, leave the pumpkin for last, then fold it in. 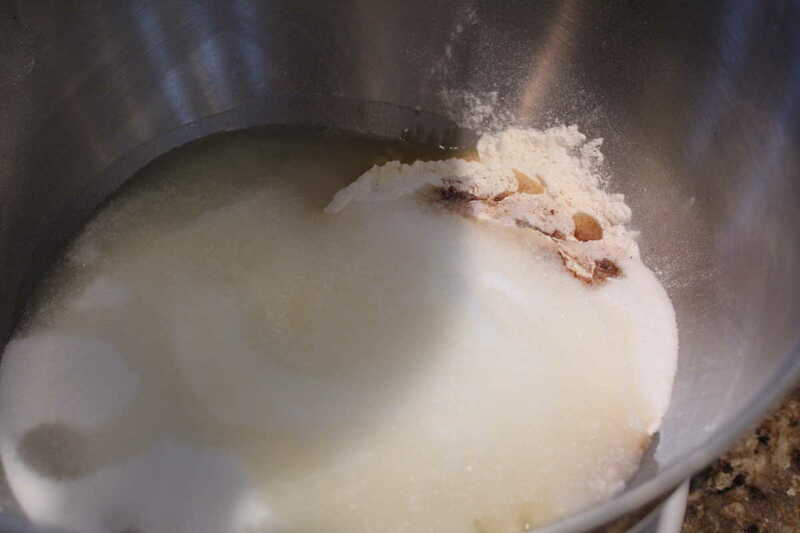 Then pour it into muffin tins or cupcake liners, and set them in the air fryer, at 320 degrees F. For 8 minutes, then set for another 3 minutes. Continue to air fry, until they are done. 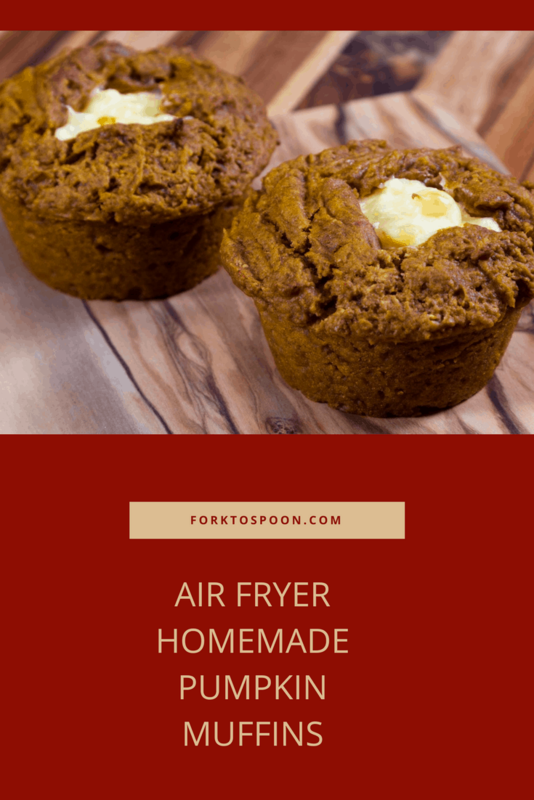 **Remember each air fryer is different. Your exact time will depend on the air fryer you own and the pan/liners you use. Check frequently, to avoid browning.